Unless you’re planning to fish from a big-game charter boat, you will need to take your own tackle. Having been through an extensive period of trial and error, the following list consists of our choice of rods, reels and odds and sods. Shimano Beastmaster 330H. 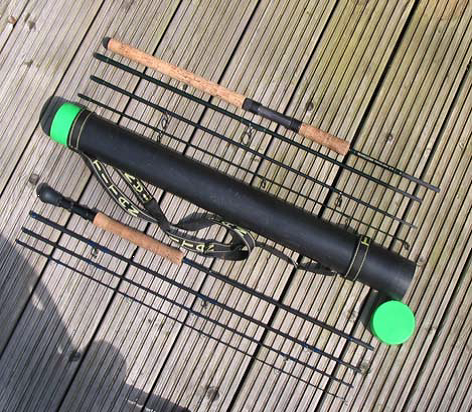 This four piece spinning rod is 3.3 metres long and casts lures up to 50 grams in weight. To give an idea of its the capabilities this rod has landed fish up to 70lb from the shore. Mike Ladle 4SureSpin. This four piece spinning rod is 3.2 metres long and casts lures between 15 – 60 grams. Most travel rods come with a protective carry tube, but a section of drain pipe makes an ideal carrying case for two rods – and it’s cheap. Daiwa Saltiga – sizes 3500 to 6500 – bullet-proof tuna and GT tamer. High water resistant. Shimano Stella – sizes 4000 to 20000 – Not cheap is an understatement, but the gearing and clutch (drag) are smooth and will stop anything. Van Staal (VS) – the gearing is not as refined as the Daiwa Saltiga or Shimano Stella but 100% waterproof. Shimano Twin Power – Good, high-end fixed spool reel, with a very good fighting drag. Shimano Stradic 4000 GTR-SA – Small spool but fine with Whiplash braid. A 15 kilogram wire trace is useful if barracuda are around and a 25 – 40 kilogram hard nylon monofilament rubbing trace is essential if you are targeting snook or tarpon. They have sharp edges to their gill covers and can slice through thinner lines. Floating / diving lures have to be tough to survive and we’ve had a number of plugs tested to total destruction by powerful fish. Lures of moulded plastic construction are the most resilient, but try to make sure that they have a stainless steel wire harness that is embedded through the lure body. That way the hooks shouldn’t pull out (again we’ve had it happen on cheaper lures) and you’ll remain hooked to your fish. A basic selection of colours is all that’s required – blue and silver/black and silver in 9 cm to 13 cm. If the water is murky, then a white lure with a red head may sometimes be more visible to the fish. Yo-Zuri Crystal Minnow – Length: 11 cm. Weight: 11 grams in blue and silver. Dives to around 0.8 metres. Storm Chug Bug – Length: 10 cm. Weight: 25 grams in blue and silver. Surface lure/popper. 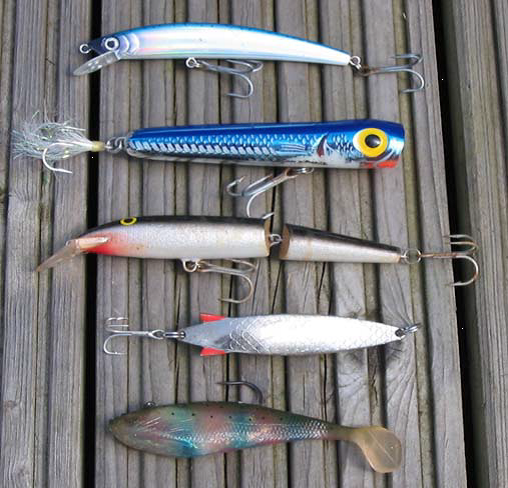 Rapala jointed range – Length: 9 -13 cm. Black/silver or Black bronze. Dives from 0.5 – 1.5 metres. ABU Toby – Length: 10 cm. Weight: 28 grams in silver. Sinking metal lure so keep winding. Storm Shad – Length: 12 cm. Weight: 25 grams in pearl or blue. Soft plastic fish imitation with a weighted hook embedded inside. Good poppers include the Rapala Skitterpop and the Duel Magnet Slider. 2.75 metre (9ft) # 7 – 8 single-handed fly rod for bonefish, snook, baby tarpon and snapper. 2.75 metre # 9 – 10 (stiff / fast action) for medium-sized tarpon, permit and jacks. 2.75 metre # 12 -14 for larger tarpon, large jacks and trevally, dolphin (mahi-mahi) & small /medium sailfish. There are a vast number of 4-piece fly rods available and inevitably one person’s ideal fly rod is someone else’s ‘broom handle’ so the following list is just a summary of those that we have used. Budget but good – Greys, Vision, Redington, Airflo. Mid- price – Orvis, Loop, Redington. The three key essentials in a fly reel are a smooth drag, 100% reliability and large backing capacity. As with fly rods, there are many to choose from cheap to expensive. Nearly all of the rod makers in the above list make a fly reel to complement their rods, with prices to match. At the upper premium end of the fly reel list, such reel legends as Abel, Tibor, Van Staal, Nautilus, Hatch and Hardy will appeal to the real / reel connoisseur who is prepared to re-mortgage his home in order to possess the angling equivalent of a work of art. Mike’s been using a cheap Okuma Airframe 7/9 for many years now and considering the cost it has proven reliable. In most situations a weight-forward floating or an intermediate line, to match the rod that you use, is fine. 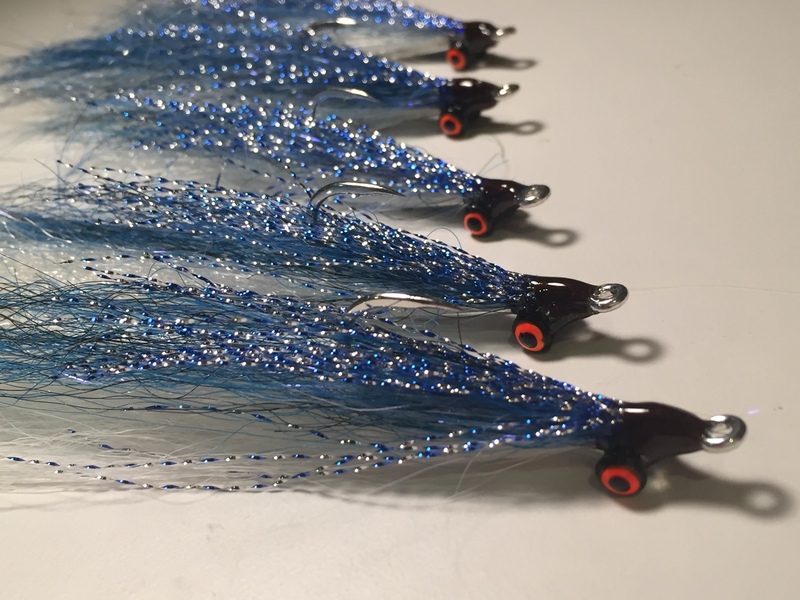 Flies like Gotcha, Crazy Charlie, Clouser Minnows and Merkins are good for Bonefish and Permit. For snook, tarpon, jacks and snappers, Deceivers, Poppers and Gurglers will often induce a strike. 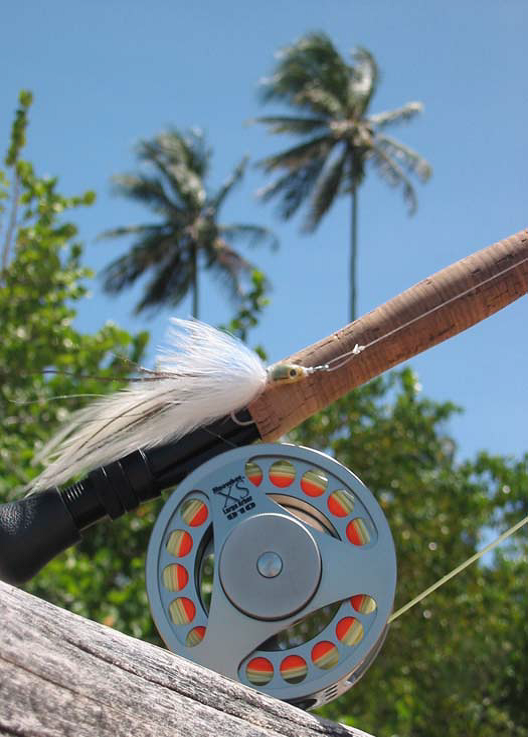 Strong, very sharp, stainless hooks are essential for flies used in warm saltwater. Clothing and equipment is just as important as rods and reels, if you are to enjoy your fishing. Most importantly, you need to protect yourself from the sun, if you’re fishing during daylight. Even at 7.00am, the sun is strong and it’s easy to get sunburnt legs, arms and face if you’re near the water. Wearing SPF rated breathable clothing, including sun gloves, Buff tubular sun scarf or Simms Sunclava, is an excellent way to prevent sunburn and keep cool. The range of specialist ‘tropical’ clothing available nowadays to counter the extremes of temperature, humidity and salt water is phenomenal. Man-made fabrics including Tactel nylon, Simplex and Nycot are light-weight, quick-drying, wick moisture away from the skin to help keep you cool and most have built-in SPF (sun protection factor) of 30 -50. Failing this applying waterproof SFP 30+ before you start fishing (even if that’s before dawn) to all exposed areas of skin, is very strongly recommended. If using sunscreen don’t forget the back of your neck and ears. 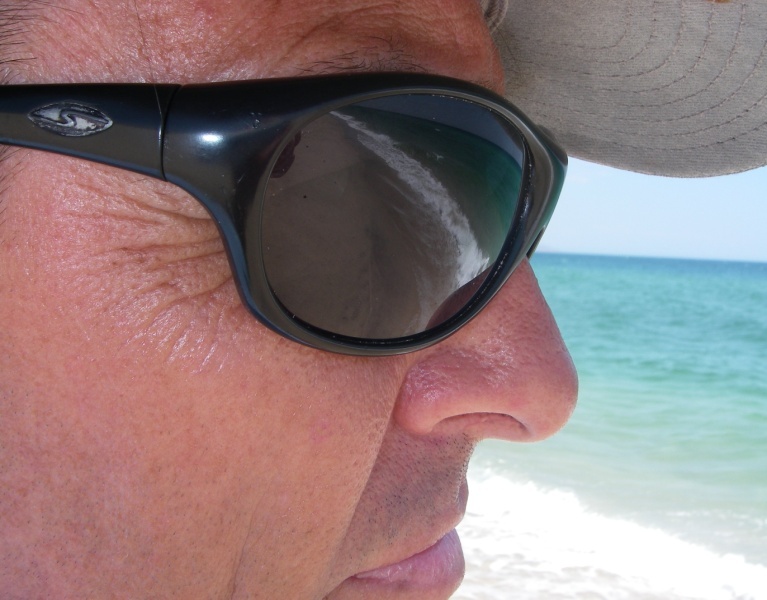 Good polarising sunglasses are 100% essential for cutting down the sun’s glare and for spotting fish. Make sure that they reduce or eliminate UV. A cap or hat will keep your brain from frying and will shade your eyes to aid your vision. Excellent footwear is essential if you are wading flats or clambering around on slippery rocks. Take great care, whatever you do. Stand on a stingray or twist your ankle on the rocks and that could end your fishing for the rest of the trip. (This happened to me in Fiji). Don’t try wearing trainers or sandals for wading as they will soon fill with sand and grit and it will be like wearing sandpaper against your feet and ankles. Flats boots made by Orvis, Simms, Snowbee and Patagonia are well worth the investment and are also useful for fishing on the rocks. Make sure, whatever you’re fishing for, that you always have sharp hooks and take a small sharpening stone or file to keep them that way. A pair of long-nosed pliers is essential for unhooking fish. 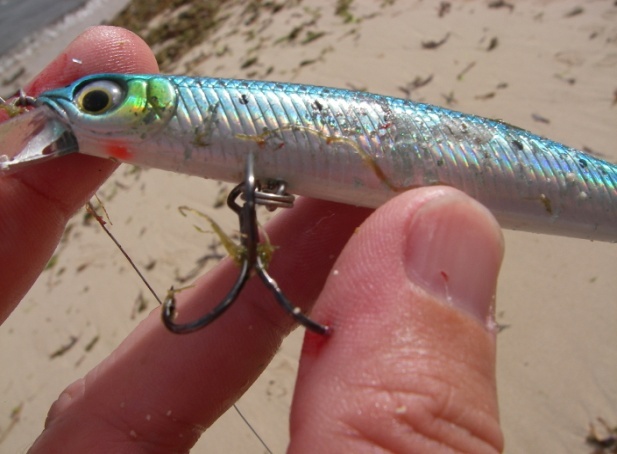 Most fish have tough mouths that resist the efforts of hook removal with fingers alone and lessens the risk of a wayward hook transferring to your fingers – and talking of fingers – if you want to keep yours, always use the pliers when unhooking barracuda, kingfish, wahoo, rays and sharks. Having a pair of long nosed pliers that are capable of cutting line (or wire) and opening split rings is useful as XOS tropical fish tend to bend or destroy treble hooks. Take a supply of replacement heavy gauge trebles (or in line singles) to counter this eventuality. It doesn’t matter how careful you are inevitably there will be an occasion in the tropics where you will need a First Aid kit. Brushes with coral, stray hooks or fish spines are a fact of line. The only thing I’d add would be a compression bandage and a medium sized bottle of vinegar. The vinegar could save a life in case of jellyfish stings.